This article was originally published on the Motley Fool. Despite the support of OPEC, crude prices remain in the doldrums again this year. While many initially expected that oil would stay in the mid-$50s, it has fallen well short of those forecasts, spending most of the year in the $40s. Driving down prices has been a combination of weaker demand growth and unexpectedly robust production from U.S. shale producers as well as Libya and Nigeria, which are both exempt from OPEC's output cuts. That said, the longer oil stays lower, the greater the risk it rockets higher in the future. That's because weaker pricing continues to cause producers to curb long-term investment. In fact, the industry has deferred or delayed $2 trillion of oil projects due to pricing. It's a situation that might cause an oil supply shortage as early as 2020, which could send prices higher. Earlier this year, the International Energy Agency (IEA) put out an update to its five-year oil market forecast. The IEA's conclusion was that "global oil supply could struggle to keep pace with demand after 2020, risking a sharp increase in prices, unless new projects are approved soon." It's not alone in issuing a warning to the industry that it needs to start green-lighting new oil projects. One of the most recent voices of concern came from Mark Richard, who is a senior executive for oil-field services giant Halliburton (NYSE:HAL). He recently told the World Petroleum Congress that "the market is going to catch up... you'll see some kind of spike in the price of oil. Maybe somewhere around 2020-2021, but it's got to catch up sooner or later." Two factors are fueling this concern. First, global oil demand continues to expand. 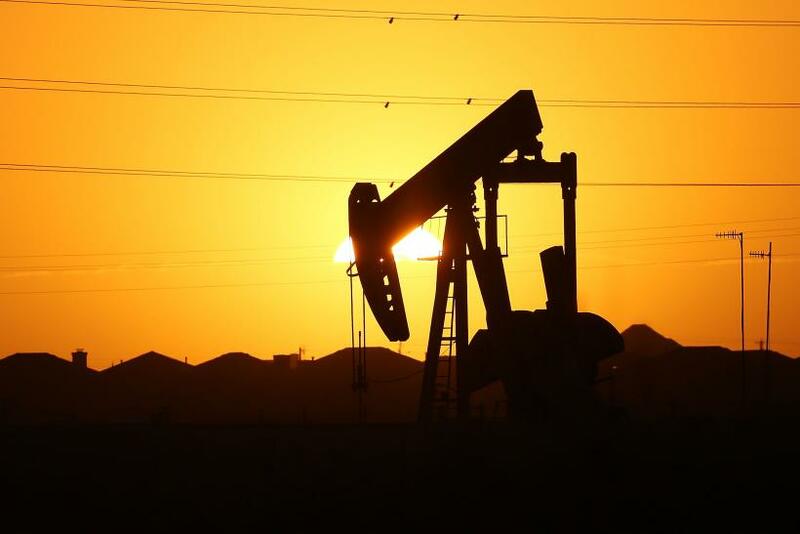 In fact, after a weak first quarter where it only grew by 1 million barrels per day (MMbpd), the IEA noted that demand growth accelerated to 1.5 MMbpd in the second quarter. That led the agency to boost its full-year demand forecast by 100,000 bpd to 1.4 MMbpd, with expectations that the market will expand by another 1.4 MMbpd next year and reach an average of 99.4 MMbpd. Overall, the IEA doesn't expect oil demand to stop expanding until 2040, though growth in the future should come at a slower pace. Meanwhile, global crude supplies from legacy fields continue to decline and deplete. According to a study by Bank of America Merrill Lynch , the output from the average oil field outside of OPEC drops by 5% per year. Consequently, the industry needs to add 2.8 MMbpd of new supply just to replace this lost production. When you add in demand growth, the gap widens. While surging output from U.S. shale plays will help fill some of that gap, it alone can't plug that hole. According to the IEA, if oil averages $60 per barrel, shale drillers could potentially add 1.4 MMpbd of new supply per day by 2022. Fueling that growth are companies like EOG Resources (NYSE:EOG) and Pioneer Natural Resources (NYSE:PXD), which thanks to their low costs, can expand output at a brisk pace even at lower prices. In EOG Resources case, it could grow its oil production by 25% annually through 2020 at $60 oil. Meanwhile, Pioneer Natural Resource can increase its oil equivalent production by a 15% annual rate for nearly a decade at $55 oil. That said, other shale drillers need higher oil prices to drive that level of growth, which is why the IEA thinks that the industry could expand production by 3 MMbpd barrels per day by 2022, topping 7 MMbpd, if oil climbed to $80 a barrel. However, with demand expected to reach 104 MMbpd by 2022, the industry needs more than just shale. The problem is that other oil projects take much longer to develop. While EOG Resources can turn a shale well into production in a matter of months, a large offshore project takes years and billions of dollars to develop. For example, Chevron (NYSE:CVX), Hess (NYSE:HES), and other partners are developing the Stampede deepwater project in the Gulf of Mexico. Initially sanctioned in 2014, the Hess-operated project won't deliver first oil until next year, though at its peak, the $6 billion oil project should produce about 80,000 bpd. Given that long lead time, major oil producers like Chevron will need to sanction additional long-term oil projects to meet the market's anticipated demand early next decade. That said, given where oil is right now, producers are reluctant to make those commitments until they can get costs down. Because of that, Halliburton's Richard stated that the timing of new project approvals "depends how quickly we can get to those price points [down] and how quickly our customers are able to see that their investment is going to be solid for the long term." That's what Chevron is trying to do with its Rosebank project in the U.K. North Sea. The oil giant was initially on track to approve the $10 billion project in 2013, but it put those plans on hold due to rising costs. Chevron is now working on a scaled-down version that it hopes to sanction by 2019. However, even if it meets that accelerated timeline, the project still wouldn't produce a drop of oil until 2022. That long lead time means that the industry is going to have to look at approving more medium-term projects just to ensure that it has the oil it needs come 2020, when supplies could really start to tighten. Oil might be down right now, but it doesn't look like it will stay there forever. Steady depletion of legacy fields, when met with consistent demand growth, could cause a growing shortfall in just a few years. That could push prices exponentially higher unless the industry starts approving more major projects that would come on line in a few years when the industry will need the supply. That forecast suggests that low-cost oil producers could thrive in the years ahead, which is why investors should consider parking some money in the oil patch. Matt DiLallo has no position in any stocks mentioned. The Motley Fool owns shares of EOG Resources. The Motley Fool recommends Chevron. The Motley Fool has a disclosure policy.